Get a Philip Jones pave initial necklace. 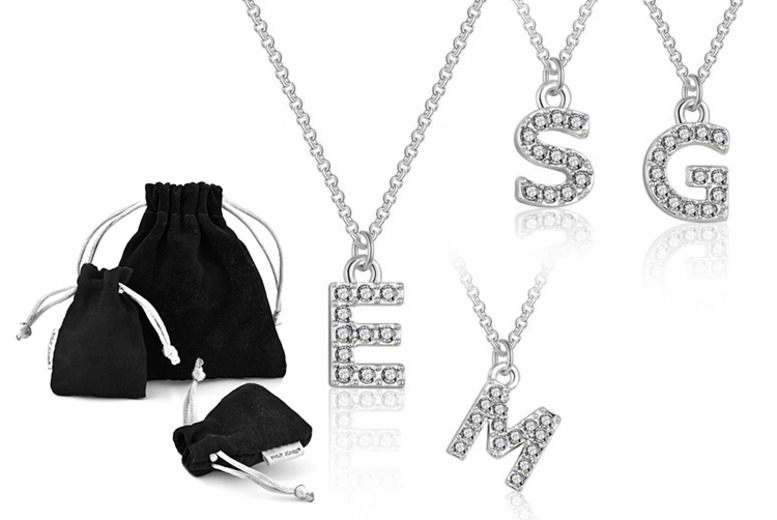 Made in a timeless silver plated brass alloy with crystals from Swarovski©. With 26 designs for you to choose from. Features a 41cm (+5cm) length and a 10mm x 10mm pendant. Comes in its very own jewellery pouch. The perfect touch of sophistication to add to a silhouette for your friend or yourself.